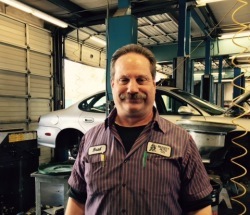 Jammie is our General Manager and he runs the whole auto repair center in Beaverton. Sound’s easy doesn’t it? It is not, but he makes it LOOK easy. He is a natural people person--he can remember almost every customer's name and their cars (and their cars' repair history!) He is also one of the most enjoyable folks to work with that you will ever find! Jammie is in charge of every job going through the shop, even if a job is not under his direct supervision. He is truly the "buck stops here" guy on our team! Chris has been part of our team for many years. Chris is in charge of the Bassitt Auto fleet of loaner cars. He makes sure they are clean, full of fuel and ready when you are. He is our Parts Manager and helps our team of techs by receiving and distributing parts that arrive at the shop, so we can quickly and efficiently get you back in your own. Chris enjoys being a dad to his daughters, bowling and riding his bike around town in the mean time! Rick is one of our service advisors. He has been in the industry since 1972 and is formally A.S.E certified Master Technician and gold level Honda Master Technician. 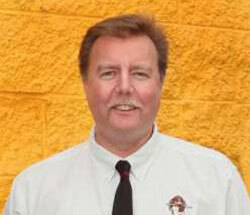 Rick joined our team in 2011 and has brought a wealth of knowledge and expertise to Bassitt Auto. He enjoys spending time with his wife and working in their art studio. Rick and his wife love going on nature hikes around the Gorge in Oregon. 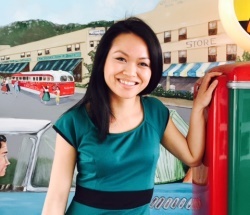 You can find Kelly greeting you as you walk into our soda fountain waiting room, answering your phone call to schedule an appointment, or looking up your vehicle's history in our files. She has worked in customer service for 8 years. 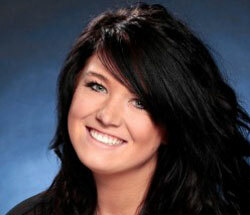 She received her Bachelor of Science from Oregon State and associates from Portland Community College. She enjoys spending time with her boyfriend Max and their Mini Aussie Zoey. When he takes on a job, there is no second guessing it will be done right because he has been in the automotive profession for over 40 years. He'll lay out the job in his mind, then test each section meticulously before moving to the next. Brad has been a Bassitt family member for 7 years and he wants to see the whole team succeed. 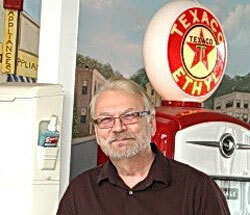 He specializes in classic cars and is a master welder, fabricator, and machinist. 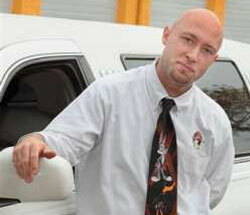 His background includes 15 years at various dealerships before spending the last 25 years in private automotive shops. Brad enjoys his family and working around his home with his dog, Sadie. He loves the outdoors to camp, hunt, and fish, and carries his love for motorized vehicles out of his work by riding motorcycles. 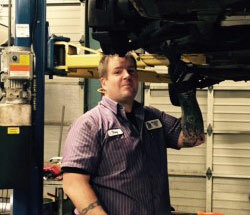 Troy has worked with Bassitt Auto for almost a year, but has been in the auto industry for 18 years. He is an A.S.E certified Master Technician with an L1 certificate and an associate’s degree in Auto Technology. He has worked in independent repair for 14 years, 3 years with Dodge and 1 year with Toyota. Troy enjoys golfing, working on his car and motorcycle, as well as spending family time with his wife, Mandria, and their two kids, Aubriana and Bennett. Bee is a total team player and is always thinking of others. She keeps us looking as good as we can. That is no easy challenge! She received her Bachelor of Arts in Psychology and a minor in Economics from Lewis and Clark College, and now works as our bookkeeper here at Bassitt Auto! Since then, you can find her spending time with her boyfriend as they enjoy hiking and camping together. In her spare time, she enjoys making soy candles, even if they don’t always end up as planned! She also dabbles in many other random activities such as tennis and snowshoeing.